My kids sometimes always leave toys around the house. And they enjoy playing on the piano (though not always playing actual songs). 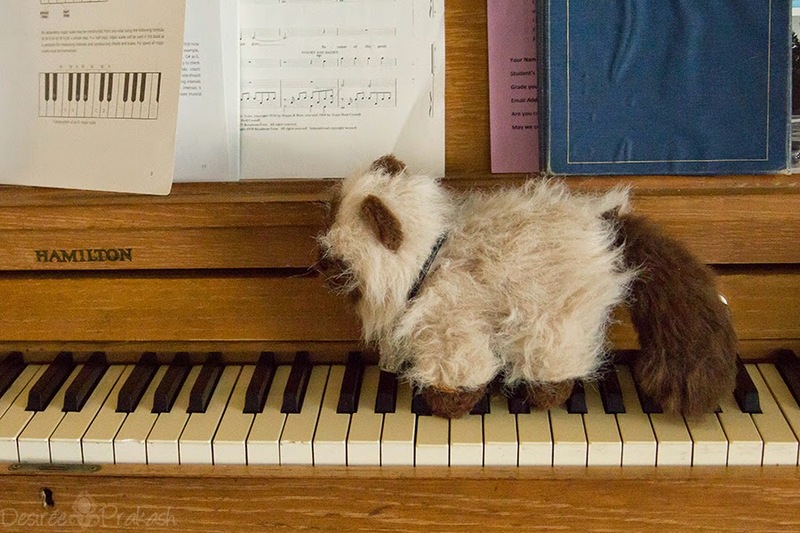 Now, apparently, my daughter has a very musical cat. Continue around the blog circle to Erin at The Lumpy Place see more evidence of kids being around.